Any other Parisians out there? 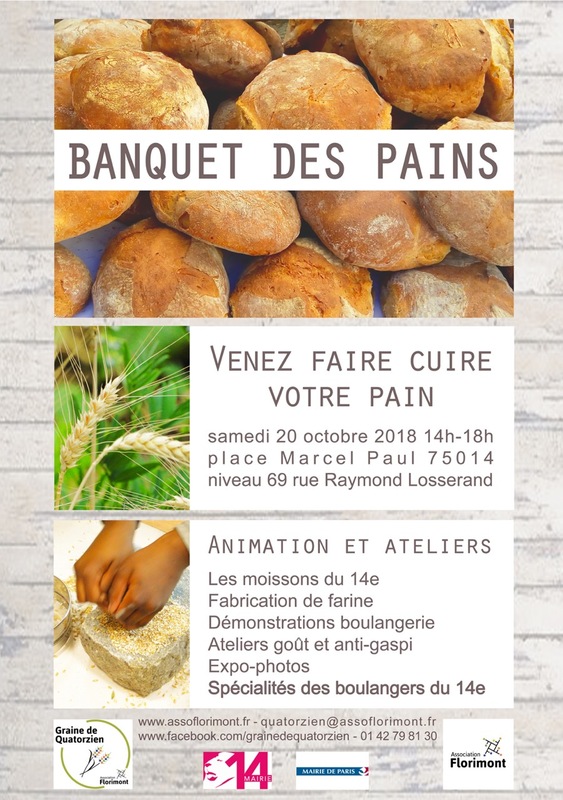 A friend sent me a link to this event: a community banquet, where bread is the star. All are invited to come and taste/discover local bakers' goods, mill their own heritage flour and/or bring their dough and bake it in a wood-fired oven that'll be especially installed on the place for the occasion. Sounds like it could be fun. Pray for sunshine! But I am hoping to find suppliers for flours and other things, like malts, that are just not readily available here, if at all. Should be a hoot.